Rev. 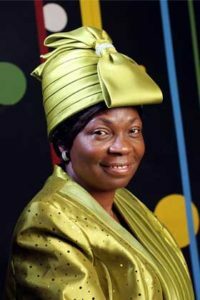 Mary B. Idowu, Vice president of the Name of Jesus Ministries (TNJM), is a celebrated author, teacher and intercessor who demonstrate Gods love to others. She is the senior pastor of Jesus Cathedral of TNJM. She is also the chief executive officer (C.E.O) of the Seed of Grace International College. She is an ordained minister of the gospel and her commitment to helping others is evident through her lifestyle of service. By sharing God's word through the power of Christ, she has impacted people from every walk of life around the world. She founded the Faith clinic ministry at TNJM to help people particularly women who are believing God for the fruit of the womb and other great acts. She frequently hosts meetings, retreats, workshops and other events such as the Annual Women Congress, Daughters of Destiny to empower people to develop their trust and love for God. Her passion to rescue the falling standards in Nigeria’s once-rich and robust educational system makes her a mother in Israel. She is a woman called to serve; with grace, excellence and integrity as her watchword and a passion for children who are the future of the nation. She is married to Rev. 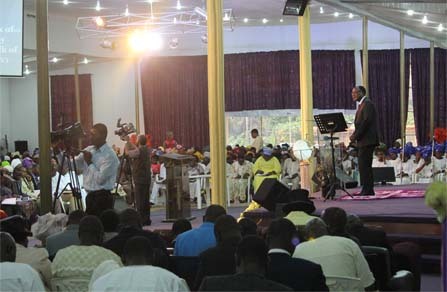 Dr John Idowu and they are both blessed with wonderful children who also demonstrate the love of God.